Samsung left no stone unturned in pushing the limits of hardware and software awesomeness in the recently announced Galaxy S8 and S8 Plus. After the recent Galaxy Note 7 debacle, the company acknowledged their fault and got almost everything right - except one thing: the 'facial recognition' feature on the phone. It's one of the options to unlock your phone and acts as an alternative to swiping on the screen. The feature works by unlocking the phone when you stare at it. The on-board sensor figures out who's looking at it and then runs complex algorithms to figure out if the person looking at it is an authentic user. The feature is meant to take the pain out of the procedure of unlocking the phone, which can be done either by entering a PIN, or a password or using a fingerprint scanner. 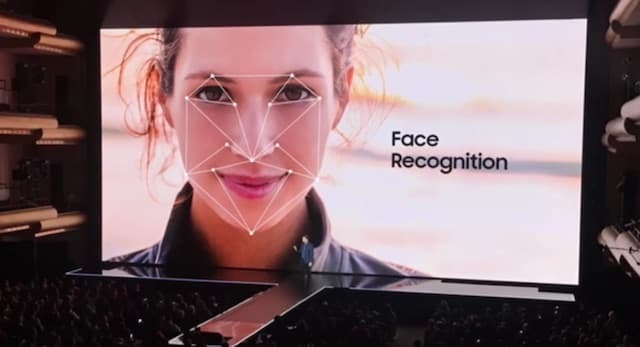 Samsung went a step ahead and also introduced IRIS scanning and unlock using face recognition. The sad part is that the sensors can't differentiate between a real human looking at the phone and the photograph of the authentic user. That's exactly what periscope user @MARCIANOPHONE did. He simply clicked a selfie of himself and then held his photo in front of the S8. It did take a few tries of hovering the photo over Galaxy S8, but the phone finally unlocked using the photo. What this means is that any person in possession of your S8 phone and your face close-up can easily unlock your phone without your permission. It's important to note that the photo was a close-up to simulate exactly a person looking at the phone. While we do not see this as a big security risk; but those who'll use this feature ought to know that the phone can be unlocked by anyone. We acknowledge that Facial Recognition is definitely NOT meant to be a phone security measure. It's a simple alternative and convenient method of unlocking your phone. Those who care about privacy of their data should stick with traditional password OR fingerprint methods to unlock their phones. We have not yet tried the IRIS recognition feature, but the word out there is that it's secure and cannot be easily fooled. Samsung still has some time to actually put the phone into user's hands and may take some action. Perhaps, Samsung could display a small notice along with the feature that it's not meant to be a security feature. Samsung could also work out a firmware upgrade to fix the issue. A better solution, however could be to use a 3D camera on the front. Do share your opinion on the facial recognition feature on Samsung Galaxy S8. Would you be concerned about this issue?